Additional Information Rare ladies Patek Philippe ref. 2292/2 " Eiffel Tower", with faceted crystal. Inspiration for the later Pagoda. Here is the watch that is the inspiration for the highly collectable Pagoda reference 5500 from 1997 that commemorated the inauguration of Patek’s new manufacturing center. 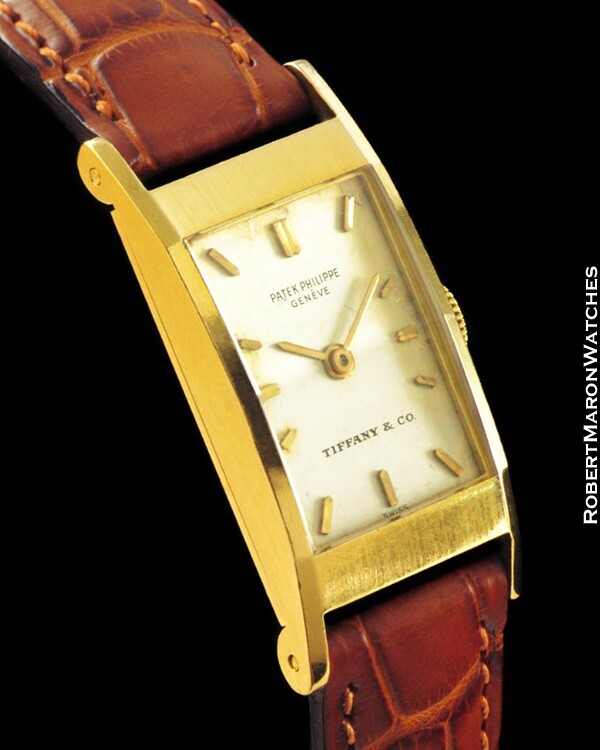 This is something very rare: an important vintage Lady’s Patek Philippe wristwatch. 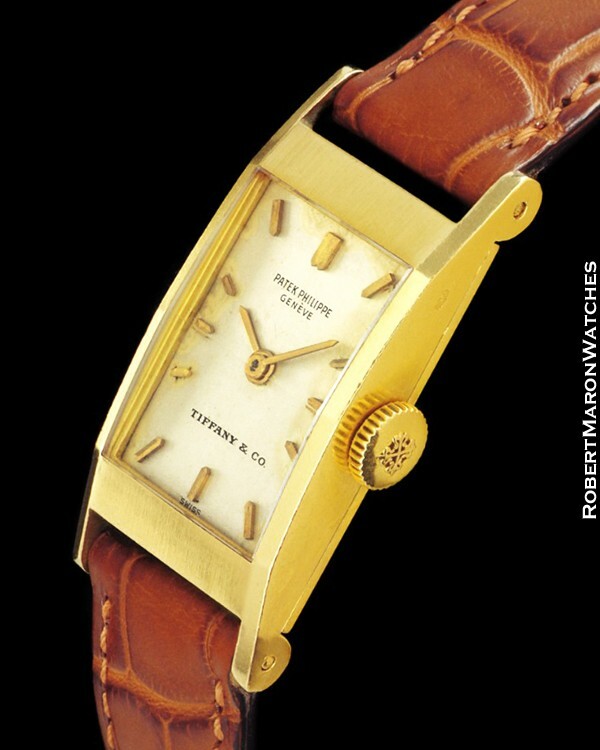 In addition to being an historical Patek Philippe watch, this “Eiffel Tower” watch also has an original dial signed TIFFANY & CO. that adds substantially to its value. Original solid 18k gold case is rectangular shaped with dimensions of 33mm long by 15mm wide by 6.9mm thick. Case edges are very sharp and it’s likely this watch has never been polished. Case is mostly flat along the bottom and arches up to the top. Crystal is faceted. 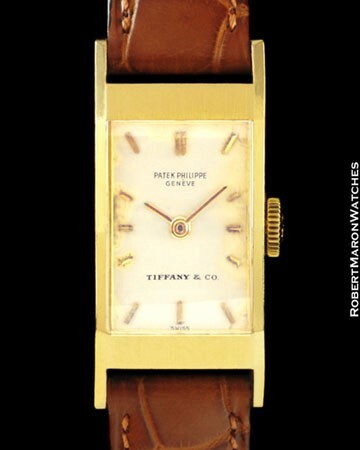 Original untouched silver dial signed PATEK PHILIPPE GENEVE and TIFFANY & CO. Dial has applied golden hour markers and original golden baton hands. Dial is near mint with some age showing. Original is the original manual winding Patek Philippe caliber with 20 jewels and is adjusted to heat, cold, isochronism and in 5 positions. Strap is new Camille Fournet high quality brown crocodile with goldtone buckle.